Vidisha lies in the state of Madhya Pradesh, very close to the capital city of Bhopal. 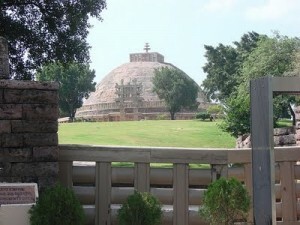 The town is known for its historical monuments and ancient places of significance. Once the prosperous capital of the western dominions of the Sungas contains some remarkable antiques that throw light on the considerable architectural development of the period. Situated in the fork of the Betwa and Bes rivers, Vidisha, 10 km from Sanchi, occupies an important place among the ancient cities of India. Vidisha Museum has a superb collection of Besnagar’s earliest antiques, dating from the Sunga period; 9th century sculptures and terracotta objects representing the art that flourished under the Par Mara patronage, are also well represented here. Highlights of the collection from Besnagar are the Surya Chamundi figures, the Yakshi and Ramagupta inscriptions. The Lohangi Rock, Gumbaz – ka – Maqbara and Bijamandal Mosque, sanding on the foundations of a temple, are also worth a visit. 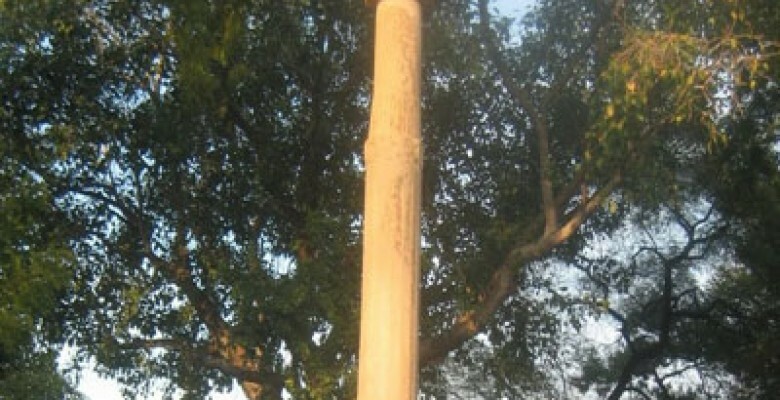 Close to ruins are the remains of votive pillars with palm-leaf capitals; the only one that still stands is the Heliodorus Pillar, also known as Khamba Baba. Architecturally, the Pillar, with its bell capital carrying a figured superstructure, resembles the Ashok Pillar but is much smaller in size, with more slender proportions, The lower portion the shaft is octagonal, the upper sixteen-sided, with a panel above of thirty-two facets, The carvings have Buddhist motifs such as a border with geese in pairs as well as Hellenic ones such as the honeysuckle and the bead-molding. This entry was posted in Historical places, Madhya Pradesh, Vidisha and tagged vidisha city. Bookmark the permalink.